Hello friends and Pion Design’s fans! 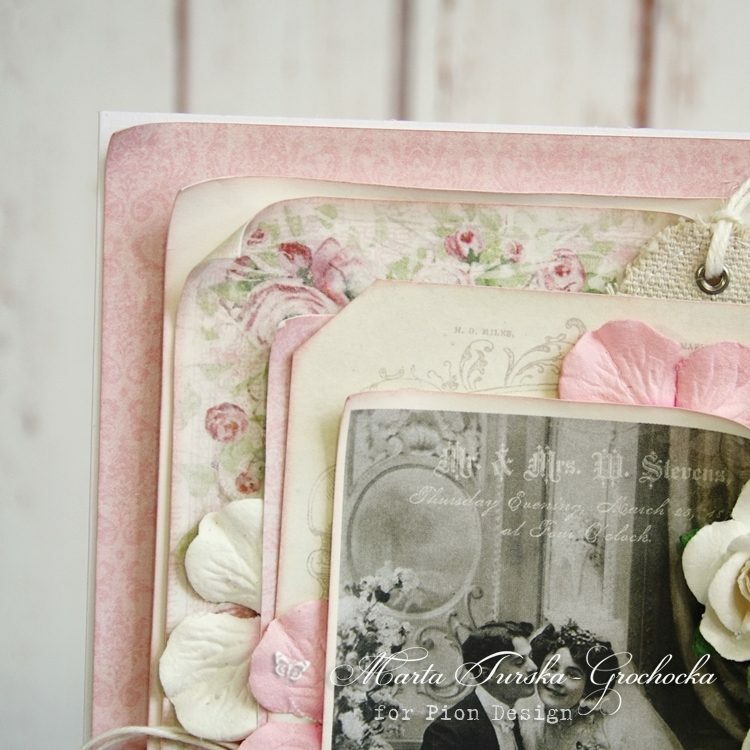 Today I have for you this sweet, vintage and romantic card. I used a few pieces of paper, canvas tags and paper tags. And a lot of flowers! I added some paper hydrangeas between the layers, I love to mix hydrangeas with 3D roses, it makes my composition rich but not heavy and overloaded.